At Lawn Pro, our expert Wall lawn care provides the knowledge and experience to correctly apply the fertilizer to your New Jersey lawn and garden to help promote healthy growth. Fertilizing your lawn correctly will not only make it a lush green, it will also enhance the curb appeal of your New Jersey home. We offer a basic lawn fertilization program as well as a premium lawn fertilization program. We pride ourselves on servicing your New Jersey property and developing a strong relationship with our customers. Your complete 100% satisfaction is our goal. 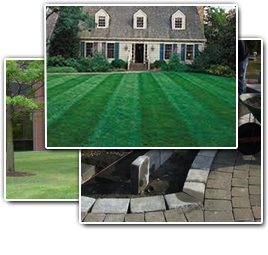 Our Wall landscape managers and work crews provide our clients with professional, experienced, and courteous service. We deliver professional service and reliability as well as installing only top quality plants and materials. If you are looking for Wall Fertilization then please call 732-614-6225 or complete our online request form.